"This 1969 Les Paul Custom was played for two days after its original purchase, then placed back in its case only to be stored there for the next 40 years. 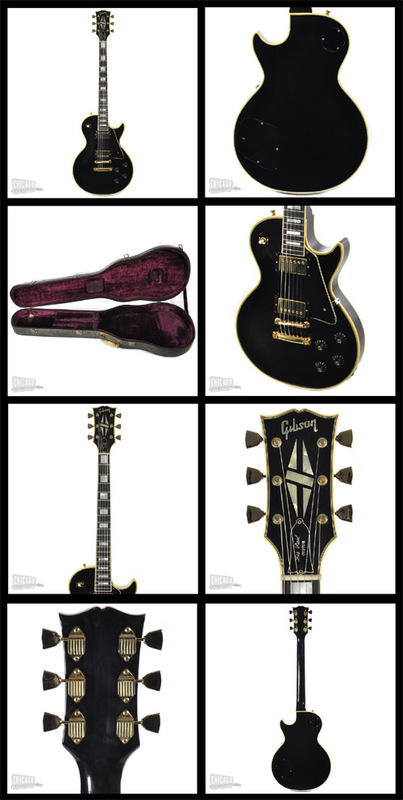 This is one of the absolute cleanest vintage Les Pauls that exist." Cosmetic Condition: The body hardly has a ding or scratch on it, it's remarkably clean. The neck is still glossy and virtually spotless. The headstock looks like new. This has to be the cleanest Custom of this era we've ever seen! Case: Original hardshell [EDIT: Note the handle has been changed, it appears to be a Gibson amp handle from the 50's!??!?]" Make sure to click the image to the left to see a high res version. See and hear the guitar in full HD on Youtube. It was for sale a couple years ago, maybe 2011 or so. I seem to recall them asking $9000, but I can't remember! I made a note somewhere, I'll correct this post if I find it.